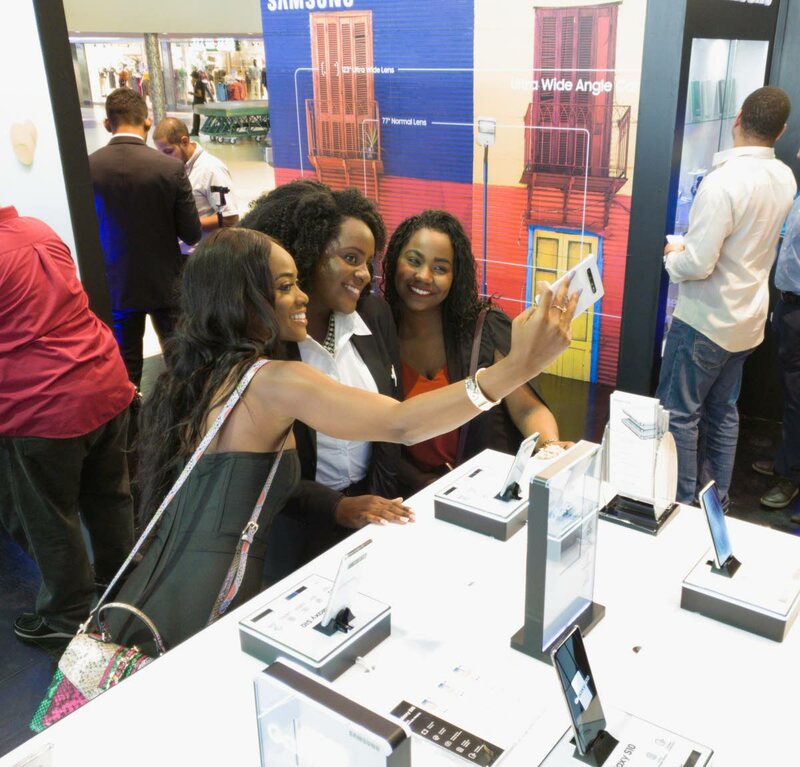 Samsung brand ambassador Avionne Mark, Experience team member Hadassah Gordon, and Rhesa Lessey pose for a wefie with the new wide-angle S10 front facing lens at the launch, Gulf City, La Romaine. PHOTO BY MARK LYNDERSAY Photo by Mark Lyndersay. Samsung introduced its new S10 line of smartphones on Thursday at Gulf City Mall in San Fernando. The company was also celebrating a successful ten years since it first introduced the S series smartphones in TT. "Our smartphones are now essential tools in our daily lives," said Gracia Whyte, trade marketing and retail manager for TT. The company also introduced a new Experience booth, centrally located in the mall which will remain up until Saturday as part of a hands-on experience with the new devices. A promotion that will run until March 27 will bundle the company's new ear buds with purchases of the S10 and S10+ devices. "Now The magic begins when you have the phone in your hands and it begins to transform your life," said Jarrod Best-Mitchell, sales manager, TT. Best-Mitchell emphasised the quality of the new cameras in the new S10 line. "You can expect the best point and shoot experience on a smartphone, it's got five cameras!" Reply to "Samsung introduces S10 to TT"